Mimosa comes from the best of old bloodlines and is considered by many to be a model for a Section B. 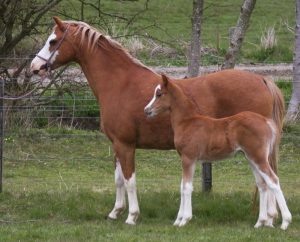 She enjoyed a very successful career when shown in hand and has become a mainstay as a breeder. 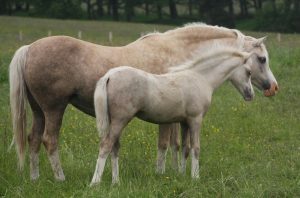 Her sons stand at stud across the world from Russia to the USA. Her most famous daughter, Mynach Miss Prim, has been retained in the stud. Oriana has been one of the most successful show animals of past years having won no fewer than four times at the Royal Welsh Show and Champion at the Royal Highland on no fewer than five occasions. Her offspring have won extensively both in hand and under saddle as well as being exported as far afield as Australia and the USA. Her son, Mynach Orsino, was top priced at the Fayre Oaks Sale in 2013. 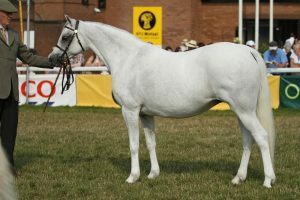 Oceana is one of four daughters of the Royal Welsh winner, Mynach Mayflower, and herself was Reserve Youngstock Champion at the Royal Welsh as a yearling. She is an elegant mare of exceptional beauty and a favourite with visitors to the Stud. 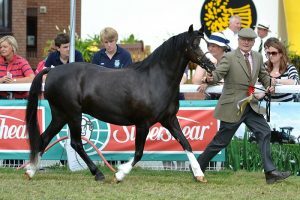 Arcadia won at the Royal Welsh Show as a three year old on one of her few outings shown in hand. 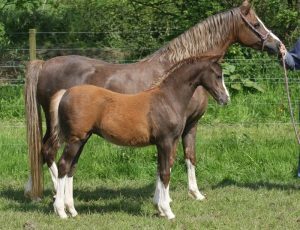 She has bred outstanding progeny with size and substance which are already starting to make a mark in the show ring both in hand and under saddle. 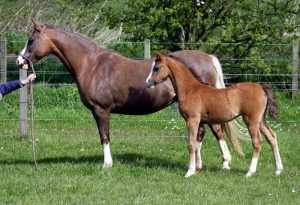 Among the most famous and popular of the ponies at the Stud, Miss Prim was lightly shown as a yearling and two year old during which time she was twice judged Youngstock Champion at the Royal Welsh Show before standing Overall Reserve champion of her section. She has established herself as an excellent breeder. Party Spirit foaled in 2012, the first sired by Moelview Masquerade and out of one of the Stud’s most famous Beau Geste mares. 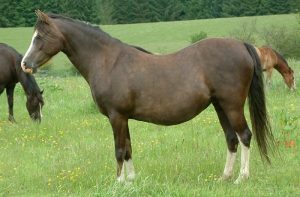 As yet unshown, she is full of quality, has a particularly beautiful head, has a good length of rein and is a great mover. Lap of Glory enjoyed a successful career under saddle before retiring to stud. 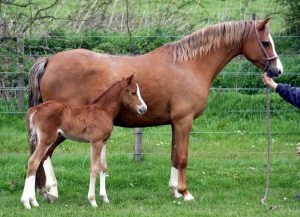 She comes from a very successful dam line; her dam was a Royal Welsh winner. She is quickly establishing herself as one of he best breeders in the Stud. 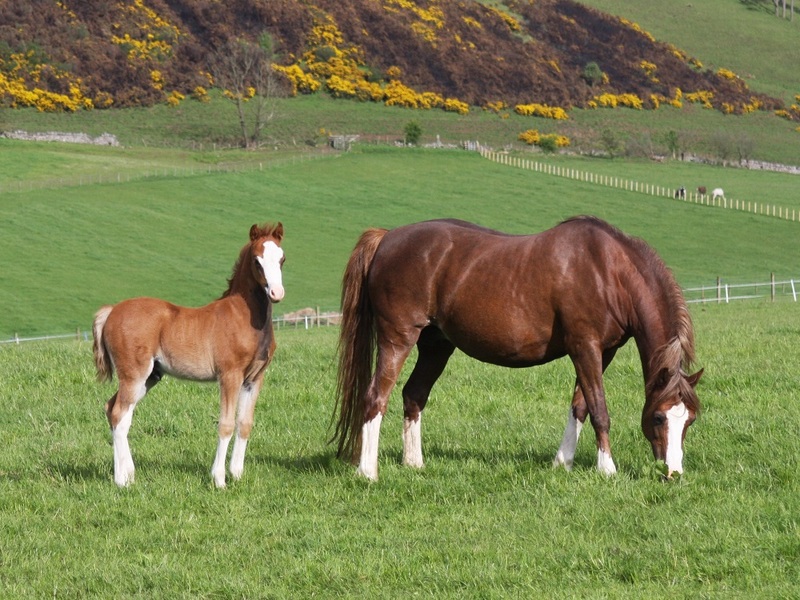 Anastasia was bred by our great friend Jock McKenzie who sadly passed away days before her birth. 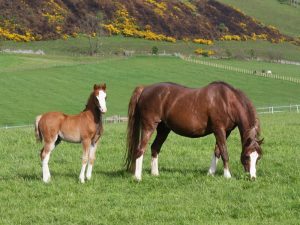 She joined the Stud as a foal and has been shown lightly in hand as a youngster when she was judged Reserve Champion at the Royal Highland and second at the Royal Welsh. 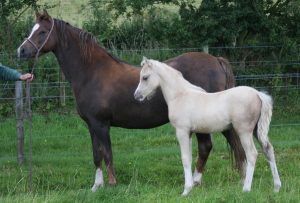 Glint was a winner at the Royal Welsh Show as a yearling and unshown since. 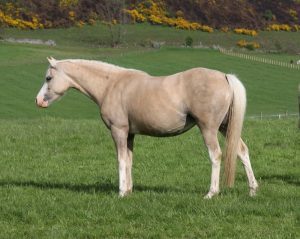 Her dam, Cwrtycando Glain (see below), was a Silver Medal winner when shown in Wales for her breeder. Glain’s dam was the former Royal welsh Champion, Thornberry Royal Gem. 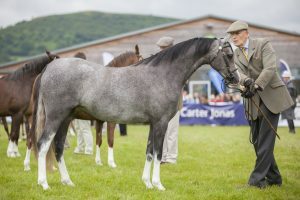 Persuasion needs no introduction as she is one of the few ponies which has won at the Royal Welsh Show in each of her youngstock years culminating in Reserve Youngstock Champion in 2016. She foals for the first time in 2018. 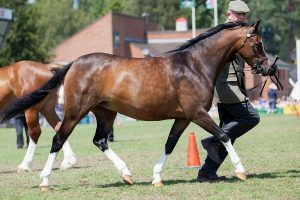 Millcroft Pleasure, bred in Devon by John & Maggie Carter, carries the best of breeding which has crossed particularly well with resident stallion, Eyarth Beau Geste. Pleasure was a very big winner in hand before moving to Waxwing; her offspring have been outstanding winners in the show ring and are characterised by ‘Penny’ in their names.. Courtesy of her owner/breeder, Megan Lewis, Cwrtycadno Glain has been on a breeding lease to Waxwing along with her full sister, Perlen. 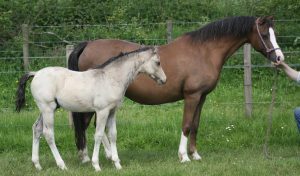 During this time she has bred a string of lovely ponies including the Royal Welsh winner, Waxwing Glint, the Lampeter Show Yearling Supreme, Waxwing Glisten and the Royal Welsh Winter Fair Champion, Waxwing Glimmer.